Gently press your palm onto your cheeks - forhead - chin so the oil can penetrates to your skin. You can lightly massage circular motions with your fingertips. I suggest don't spread onto eye area because oil can cause eyebags. If excess formula remains, pat onto neck. 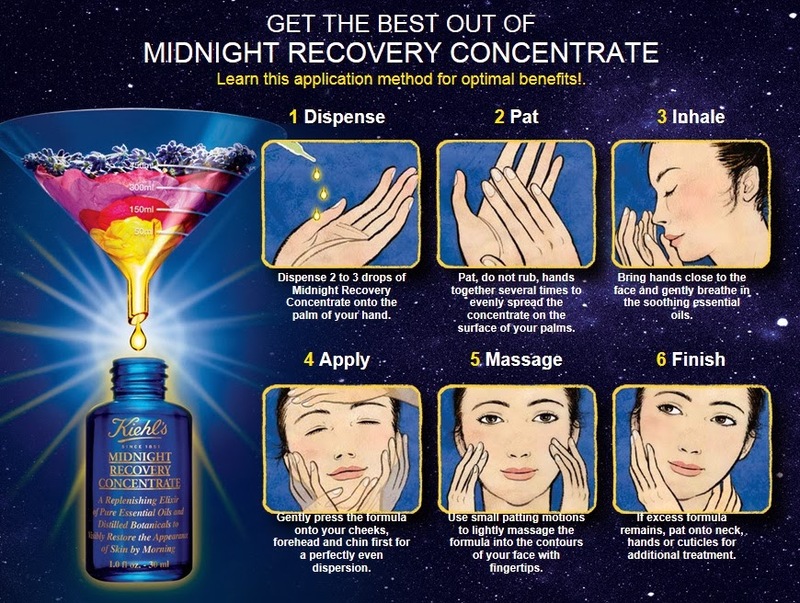 • Regenerates, repairs, and replenishes skin for a smoother, healthier skin. 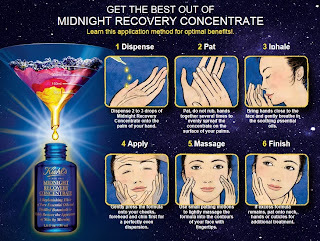 • Works with the skin’s natural nocturnal activity when skin is most receptive to repairing itself from daily aggressors to dramatically restore skin. • 99.8% naturally-derived and paraben-free. • Kiehl’s Insider Tip: Layer over Powerful-Strength Line-Reducing Concentrate for optimal anti-aging and healthier skin benefits. Squalane is a healing botanical lipid with a high affinity for skin to instantly restore and replenish. First time I dispense 3 drops of MRC and I realize it feels too oily. Then I reduce to 2 drops and it feels just right. Lately I'm using Clearly Corrective Darkspot Solution from Kiehl's as a serum, so I spread MRC after it just 1 drop. Well, 1 drop is enough for me. My face looks glowing instantly!